Ticket sales ring GVSU phone off the hook. Approximately 250 remain on HC side. As of 3:45 PM EST, there were approximately 250 total seats still available in the four sections behind the Hillsdale sideline. Currently, Section 10 is sold out. Sections 11 and 12 are nearly gone, while close to 200 remain in section 13. There is standing room to the sides and behind those sections. Reserved seats may sell out, but any Charger fan wanting to be on that side can still be accomodated. Call 616 331-3200. Hours are between 9 AM and 6:00 PM. I received a recording several times before finally getting through to a salesperson. Keep redialing. 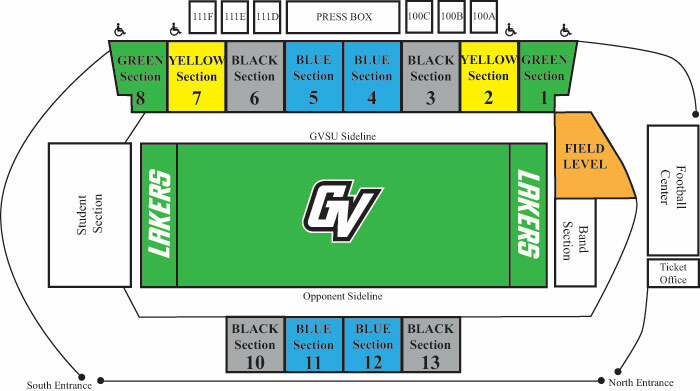 I find it interesting that on the GV ticket site tickets are already on sale for the regional game on November 28. Interesting, I thought you had to win to host a game!! A bit premature isn&#39;t it? Nice! That is really great, since they will most likely be heading to Duluth to face #1 seed UMD. Nebraska Kearney would need a big upset this weekend for GV to get another home game.<br /><br />When you are big time, I guess you can do that.